MTS (Manitoba) Archives · Stop the Cap! BCE, Inc., the parent company of Bell Canada, has acquired Manitoba Telecom Services, Inc. (MTS), in a deal worth $3.9 billion, further enlarging Canada’s largest telecommunications company. 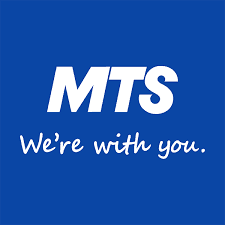 Many MTS customers and consumer advocates disagree with Forbes’ assessment, noting the deal will further consolidate Canada’s wireless marketplace by eliminating the province’s largest wireless carrier – MTS. The wireless business has nearly 500,000 customers – by far the largest provider in the region. Under the deal, BCE will sell off about one-third of MTS’ customers and retail storefronts to competitor Telus in a separate transaction. 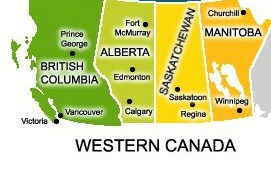 Manitoba and neighboring residents in Saskatchewan pay some of the lowest prices for telecom services in Canada. 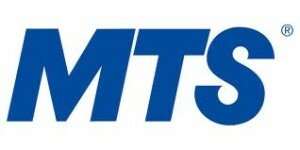 MTS offers unlimited, flat rate Internet plans for both its broadband and wireless customers — plans likely to disappear or become more expensive after Bell takes over. The result, according to one Canadian telecom expert, will be higher rates. “With MTS out of the way — and Bell and Telus sharing the same wireless network — prices are bound to increase to levels more commonly found in the rest of the country,” lawyer Michael Geist wrote on his blog. The deal is also likely to deliver a death-blow to a government commitment assuring Canadians of at least four competing choices for wireless service. If Bell’s buyout is approved by regulators, Manitoba will be served by just three competitors — all charging substantially more than MTS. …but soon we’ll be with Bell. That Manitoba Telecom would be up for sale at all came as a result of its controversial privatization in 2006 under a previous Conservative provincial government. 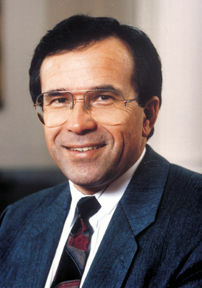 The decision to privatize came despite a commitment from then-Premier Gary Filmon that Manitoba Telecom should remain a provincially-owned telecom company. Critics point to one possible reason for the flip-flop. Shortly after leaving politics, Filmon was appointed to the board of directors of the privatized company and was given $1.4 million in director fees and compensation over ten years, along with company shares with hundreds of thousands of dollars. Economist Toby Sanger compared costs and returns of Manitoba Telecom and SaskTel, Saskatchewan’s publicly-owned telecommunications company. After two decades, the cost of a basic landline with SaskTel is $8 less per month than MTS, and SaskTel paid $497 million in corporate income taxes to the citizens of Saskatchewan – SaskTel’s shareholders – over the past five years, compared to $1.2 million paid by MTS over the same time period. In 2014, the CEO of SaskTel earned $499,492 compared to $7.8 million paid to the CEO of MTS for managing a very similar sized operation. The acquisition will be reviewed by the Canadian Radio-television and Telecommunications Commission, the Competition Bureau and Industry Canada, and could be approved later this year or early 2017. Canada’s Fiber Future: A Pipe Dream for Ontario, Quebec, Alberta, and B.C. For the most populated provinces in Canada, questions about when fiber-to-the-home service will become a reality are easy to answer: Never, indefinitely. Some of Canada’s largest telecommunications providers have their minds made up — fiber isn’t for consumers, it’s for their backbone and business networks. For citizens of Toronto, Calgary, Montreal, and Vancouver coping with bandwidth shortages, providers have a much better answer: pay more, use less Internet. Fiber broadband projects in Canada are hard to find, because providers refuse to invest in broadband upgrades to deliver the kinds of speeds and capacity Canadians increasingly demand. Instead, companies like Bell, Shaw, and Rogers continue to hand out pithy upload speeds, throttled downloads, and often stingy usage caps. Much of the country still relies on basic DSL service from Bell or Telus, and the most-promoted broadband expansion project in the country — Bell’s Fibe, is phoney baloney because it relies on existing copper telephone wires to deliver the last mile of service to customers. 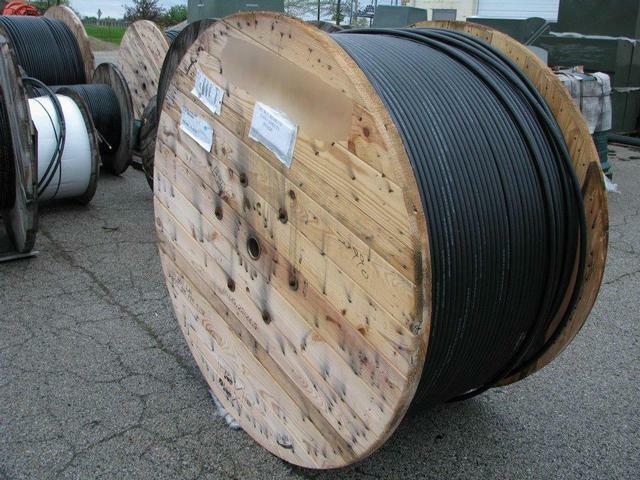 Much like in the United States, the move to replace outdated copper phone lines and coaxial cable in favor of near-limitless capacity fiber remains stalled in most areas. The reasons are simple: lack of competition to drive providers to invest in upgrades and the unwillingness to spend $1000 per home to install fiber when a 100GB usage cap and slower speeds will suffice. The Toronto Globe & Mail reports that while 30-50 percent of homes in South Korea and Japan have fiber broadband, only 18 percent of Americans and less than 2 percent of Canadians have access to the networks that routinely deliver 100Mbps affordable broadband without rationed broadband usage plans. In fact, the biggest fiber projects underway in Canada are being built in unexpected places that run contrary to the conventional wisdom that suggest fiber installs only make sense in large, population-dense, urban areas. Manitoba’s MTS plans to spend $125-million over the next five years to launch its fiber to the home service, FiON. By the end of 2015, MTS expects to deploy fiber to about 120,000 homes in close to 20 Manitoba communities. In Saskatchewan, SaskTel is investing $199 million in its network in 2011 and approximately $670 million in a seven-year Next Generation Broadband Access Program (2011 – 2017). This program will deploy Fiber to the Premises (FTTP) and upgrade the broadband network in the nine largest urban centers in the province – Saskatoon, Regina, Moose Jaw, Weyburn, Estevan, Swift Current, Yorkton, North Battleford and Prince Albert. But the largest fiber project of all will serve the unlikely provinces of Atlantic Canada, among the most economically challenged in the country. Bell Aliant is targeting its FibreOP fiber to the home network to over 600,000 homes by the end of next year. On that network, Bell Aliant plans to sell speeds up to 170/30Mbps to start. In comparison, residents in larger provinces are making due with 3-10Mbps DSL service from Bell or Telus, or expensive usage-limited, speed-throttled cable broadband service from companies like Rogers, Shaw, and Videotron. 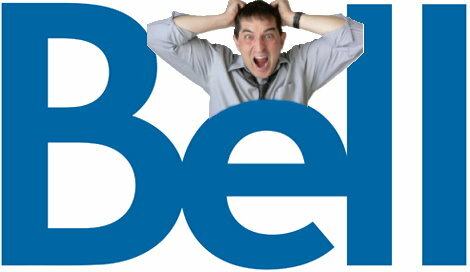 Bell Canada is trying to convince its customers it has the fiber optic network they want. Its Fibe Internet service sure sounds like fiber, but the product fails truth-in-advertising because it isn’t an all-fiber-network at all. 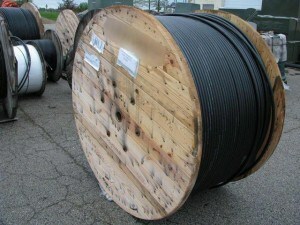 It’s similar to AT&T’s U-verse — relying on fiber to the neighborhood, using existing copper phone wires to finish the job. Technically, that isn’t much different from today’s cable systems, which also use fiber to reach into individual neighborhoods. Traditional coaxial cable handles the signal for the rest of the journey into subscriber homes. A half-fiber network can do better than none at all. In Ontario, Bell sells Fibe Internet packages at speeds up to 25Mbps, but even those speeds cannot compare to what true fiber networks can deliver.